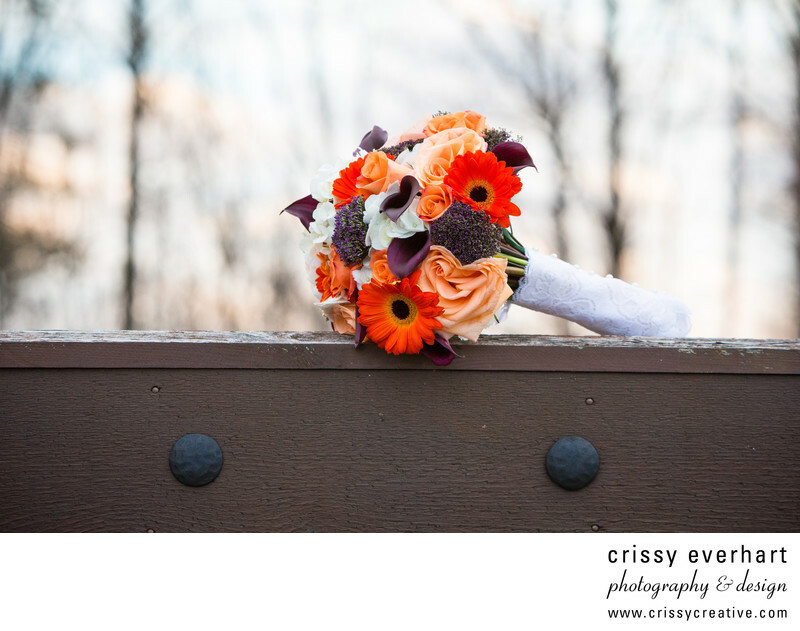 Bridal bouquet outdoors at late Fall wedding at Stroudsmoor Country Inn, resting on wooden post. Two metal nails are in the wood, almost like two eyes, and the background is a winter sunset sky. Location: 231 Stroudsmoor Rd, Stroudsburg, PA 18360.